I was definitely skeptical about the idea of “hot wing” cauliflower until I actually tried it. 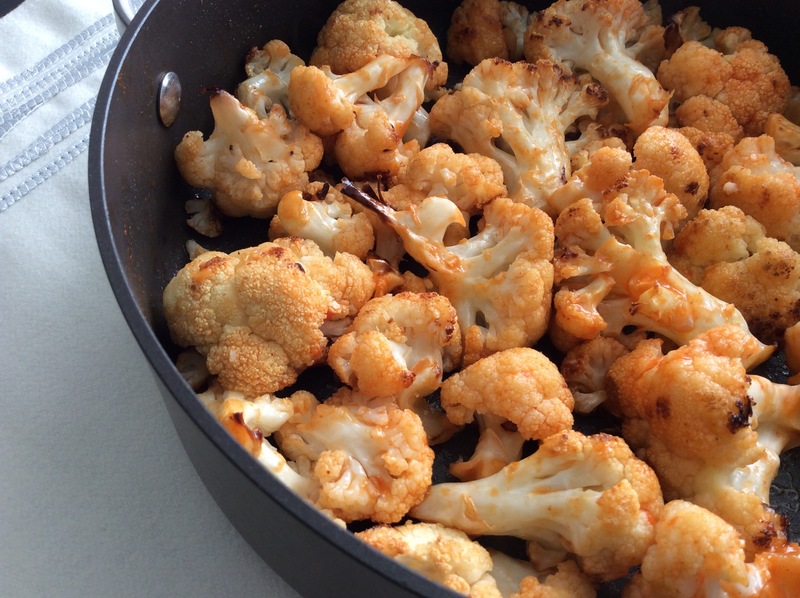 This is by far the most delicious way I’ve eaten cauliflower! Even if you’re not a big fan of this cruciferous vegetables, I strongly suggest that you try it this way. The roasted flavor with the spiciness of the hot sauce is really on point. You might even eat a whole head of cauliflower in one sitting like I did. 1. Line a baking sheet with aluminum foil and spray with olive oil. Lay the cauliflower florets on the aluminum foil in a single layer and spray with additional olive oil until lightly coated. 2. Bake the cauliflower at 400 degrees F for about 25 minutes, or until the cauliflower is tender and starting to brown slightly. 3. Melt the butter with olive oil in a large skillet. Add the cauliflower and cook until it’s browned on all sides, about 5 minutes. 4. Turn the heat off and add salt, pepper, garlic powder, and hot sauces. This part can be adjusted to your taste preferences. If you like it saucy, add more Frank’s. 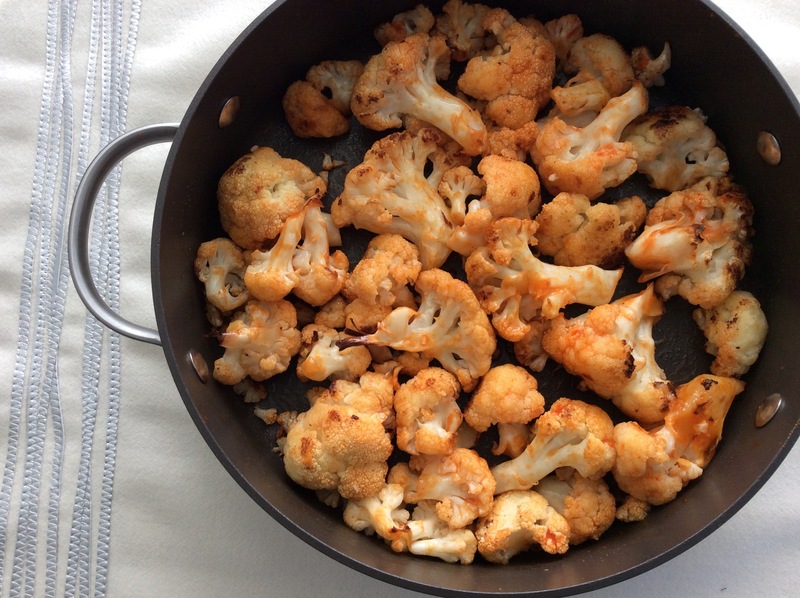 For a spicier cauliflower, get heavy handed with the Sriracha squirt bottle.